See closed sales for pet-friendly “Valencias,” located in Delray Beach, Boynton Beach and Lake Worth, Florida for November 2018. Located in Palm Beach County, FL these upscale 55+ pet friendly gated communities have state-of-the-art fitness centers, grand clubhouses with pools, card rooms, cafes for breakfast and lunch, social events, billiards, clubs, arts and crafts, and an active lifestyle geared towards today’s baby boomers. You can be as busy as you want. It’s like camp for adults! This real estate market report includes the 55+ gated communities of Valencia Lakes, Valencia Isles, Valencia Shores, Valencia Falls, Valencia Palms, Valencia Pointe, Valencia Reserve, Valencia Cove and Valencia Bay. Boynton Beach and Lake Worth, Florida. Harvard Business Review says Having a Dog Can Save Your Heart – Literally – and I agree! Caution: If you think you may have a breed restricted dog, check the particular Valencia you’re interested in first. Do your due diligence. Don’t rely on what someone told you, the listings or whatever. Find out from the source. 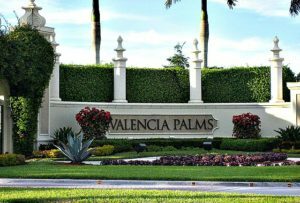 Because while the Valencias are 55+ pet-friendly gated communities, they are not pet friendly to all dog breeds. There is still a good supply of inventory in the Valencias at this time, both resales and quick delivery houses. Prices do vary from community to community but, in my opinion, you can still get a great deal if you’re not too picky. If you’re willing to take a resale versus new, you will do better on price. Some of the houses in the Valencias are barely 10 years old. The builder has raised prices considerably in the past several years, but there are a lot of great resale homes in the Valencia communities that are fairly new. You need a great agent to help you find the best deals, someone who is on your side, not the builder’s side or the seller’s side. Don’t make the mistake of going directly to the builder or listing agent. Buyer Beware. Valencia Lakes had 10 homes closed in August, September, October and November. Average list price of houses was $ 384,690. Average sold price for the homes was $ 329,245. Houses are selling for an average of .88% of asking price. Average days on market was 63. There are 3 houses presently under contract in Valencia Lakes. Closed sales in Valencia Lakes dropped while days on market remained pretty much the same in August, September, October and November as the previous quarter . Valencia Isles had 9 homes closed in August, September, October and November . Average list price of houses was $ 446,867. Average sold price for homes was $ 434,500. Houses are selling for an average of .97% of asking price. Average days on market was 106. There are 2 houses presently under contract in Valencia Isles. Closed sales in Valencia Isles rose while days on market rose as well in August, September, October and November. Valencia Shores had 17 homes closed in August, September, October and November. Average list price of the homes was $ 458,159. Average sold price for the homes was $ 439,735. Houses are selling for an average of .96% of asking price. Average days on market was 115. There are 2 houses presently under contract in Valencia Shores. Closed sales in Valencia Shores remained doubled from last quarter, while days on market was down in August, September, October and November. Valencia Falls had 9 houses closed in August, September, October and November. Average list price of the homes were $ 478,833. Average sold price of the homes were $ 454,889. Houses sold for .95% of asking price. Average days on market was 40. There are 2 houses presently under contract in Valencia Falls. Closed sales in Valencia Falls increased in August, September, October and November. Days on market dropped to almost a third from the last quarter. Valencia Palms had 9 houses closed in August, September, October and November. Average list price of the homes was $ 562,222. Average sold price of the homes was $ 540,111. Houses sold for an average .96% of asking price. Average days on market was 167. There is 1 house presently under contract in Valencia Palms. Closed sales in Valencia Palms increased in price as did days on market August, September, October and November. Valencia Pointe had 7 houses closed in August, September, October and November. Average list price of the houses was $ 442,371. Average sold price of the homes was $ 428,786. Houses sold for an average of .97% of asking price. Average days on market was 88. There is 1 house presently under contract in Valencia Pointe. Closed sales in Valencia Palms showed a decrease in price from last quarter and a drop in days on market, as well. Valencia Reserve had 6 houses closed in August, September, October and November. Average list price of the home was $ 603,292. Average sold price of houses was $ 573,667. Houses sold for an average of .95% of asking price. Average days on market was 145. There are 3 houses presently under contract in Valencia Reserve. Closed sales in Valencia Reserve showed an increase in price and an increase in days on market in August, September, October and November. Valencia Cove had 6 houses that closed in August, September, October and November. Average list price of the homes was $ 759,667. Average sold price of the homes was $ 719,667. Houses sold for an average .96% of asking price. Average days on market was 83. There are 5 homes presently under contract in Valencia Cove. Closed sales in Valencia Cove increased as did days on market in August, September, October and November. Valencia Bay had 8 houses that sold in August, September, October and November. Average list price of houses was $ 743,538. Average sold price of houses was $ 734,577. Houses sold for an average .99% of asking price. Average days on market was 154. There are 2 houses presently under contract in Valencia Bay. Closed sales in Valencia Bay showed an increase in price while days on market dropped slightly in August, September, October and November. Interested in new construction in Valencia Bay? You need a buyer’s agent – Free to you! A real buyer’s agent – not someone who claims to be. I can help you with new construction! You need someone on YOUR side. The builder is not on your side, nor is the listing agent on that sign. Take a few moments and read that article. If you have a certain breed of dog, check which Valencia will accept him or her. Same thing goes for number of pets. Buyer Beware! Not every Valencia may be dog friendly to your specific breed of dog or two or three or four.  For more information about 55+ pet-friendly housing in Boca Raton, Delray Beach, Highland Beach, Boynton Beach or Boca Raton real estate market, please contact me. 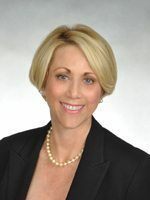 Real estate market data for the Valencias in Delray Beach, Boynton Beach and Lake Worth, FL provided by Elyse Berman of Realty Associates Florida Properties. All information was obtained from the Multiple Listing Service and sold by various MLS participants. The information is not guaranteed or warranted.